This bridal makeup pro has three little tips that will make you look picture-perfect. No Valentine’s Day date outfit is complete without makeup! Whether you’re staying in for movie night or celebrating with a fancy dinner, you’ll want to be camera-ready for those romantic selfies. 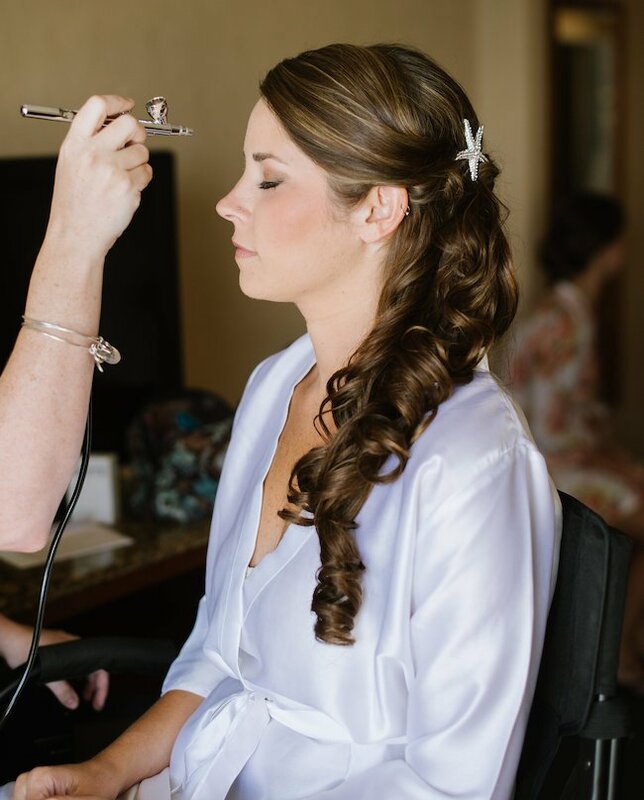 Ashley Riddle, bride beautification expert and founder of Updos for Idos has some easy tips you can use to get that perfect date night look! One of the easiest ways to step up your makeup game is by using a highlighter. Drugstores have affordable palettes, or you can take a trip to a beauty store like Sephora and sample the colors on your skin. Apply highlighter to cheekbones and the bridge of your nose. You can use a fan brush or just your fingers. The ring finger works best around your eyes and allows you to get the color right where you want it. A good brow job frames the face and makes you appear more youthful. If you haven’t had time to get your brows done, there are a couple of things you can do. First, fill them in with your favorite pencil, powder or gel product. Next, use a shadow brush to apply highlighter above and below your brows to add more depth. The secret to making your makeup look more professional is wearing fake lashes. If you’ve never worn them before, the night of a big event is definitely not the time to try them out. Buy reusable lashes and practice applying them (and wearing them) a few times before your date. Ashley also suggests using a good eyelash adhesive like Duo in shade grey. The color grey blends well with black eyeliner and will hide any goofs. Stay away from clear glue as it can sometimes cause reflections in photos. What is your favorite beauty tip? Share it in the comments below. Printable makeup? Check out how technology is revolutionizing the makeup game!